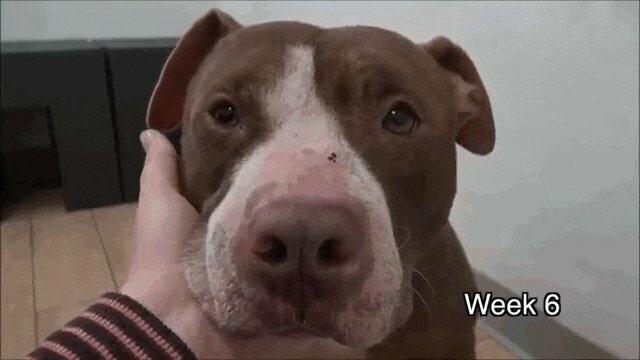 When Gideon the pit bull first saw his rescuers, he trembled at the sight of them. He had no idea that in a few weeks, he'd be smiling in their arms. The entire transformation is documented in a 2014 YouTube video, which includes what is possibly the saddest cover of "Have a Little Faith in Me" you've ever heard. The video begins with Gideon's first encounter with his rescuers, Annie Hart and Lisa Arturo, who used a cheeseburger to win over his weary heart. Stray dogs can often be fearful and even shake when approached by humans, according to rescuer Kelcy Kimmerer of Second Chance Rescue. "Dogs are so tuned in to people's energies," she told The Dodo, so "taking it slowly is the number one key." That's exactly what Gideon's rescuers did. The video shows the the tense few minutes when they had to let Gideon know they were there to help. When brought to the hospital, he was diagnosed with highly contagious fungal and bacterial infections. Hart, Arturo and the team at Rescue From the Hart gave him plenty of love while he spent over six weeks in the hospital. Through generous support from several organizations, they were able to fund his costly medical expenses. By the end of his hospital stay, the only thing contagious about this dog was his smile. 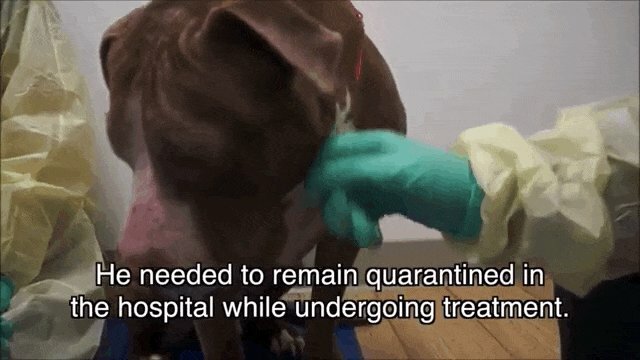 Although this video cuts down the long transformation to just a few short minutes, rescuing a stray dog takes a great deal of care and patience, especially at the start. If you ever come across a shaken dog who needs shelter or medical attention, there are two things you should know before approaching the dog, according to Kimmerer. First, let the dog come to you. 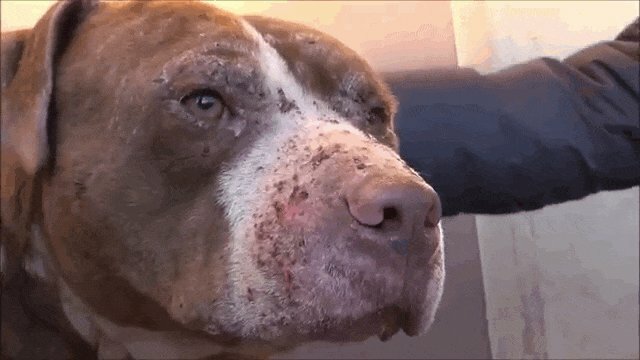 Since you don't know what abuse or neglect this dog has endured, the best way to know a dog is comfortable with your presence is by allowing him or her to make the first move. Second, don't just look calm, actually remain calm. "Your sweat changes when you're scared, so they can smell that on you," she noted. It's important to breathe slowly and avoid holding unwanted eye contact with the dog. By using this body language, you'll communicate that you're confident, yet non-threatening. 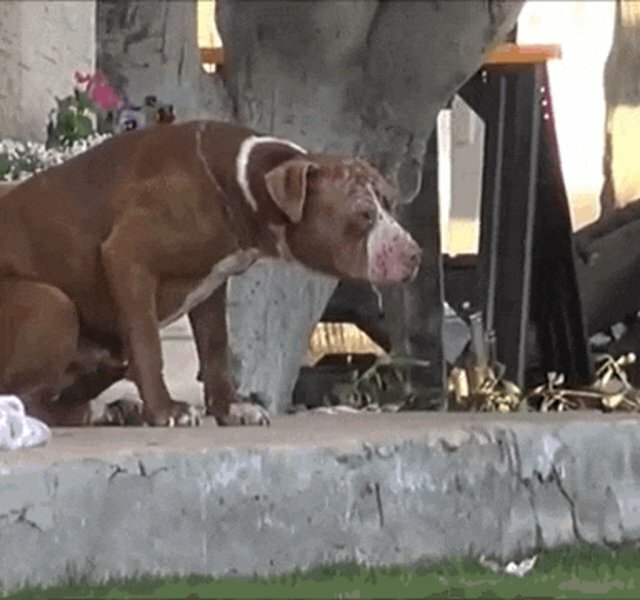 Hopefully the dog will realize you're there to help. If you're still unsure about how to tell a stray dog you're there to help, call your local shelter or animal control. There are people just like Kimmerer who rescue dogs every day and know how to calm the nerves of frightened dogs. Below are a few more highlights from Gideon's rise to fame. Gideon is no longer looking for his forever home, but there are plenty of other rescue dogs in need of a loving human family. If you have what it takes to be a hero, check out Adopt-a-Pet.com.